Duchy Fasteners is a long established Company formed and based in Cornwall with over 29 years of trading experience. Its central location makes it accessible to the length and breadth of the South West Peninsula. Our range of products includes many types of bolts, nuts & washers etc. in s/c, zinc, galvanised or non ferrous materials. 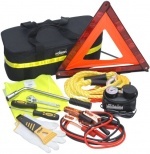 In addition, we are one of the major suppliers and stockists of tools and power tools in the south west. Together with our vast range of stock, which is constantly updated, friendly staff, we provide a free quotation service with no obligations. A regular delivery service is also available from Lands End to Plymouth. Our well stocked trade counter is available for personal callers! Duchy Fasteners are leading stockists of a comprehensive range of bolts, nuts, washers, rivets, nails, screws, masonary anchors, fasteners and power tools. 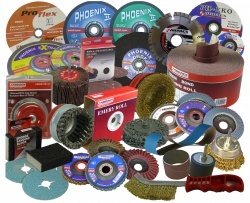 We stock products from a wide range of manufacturers but if you do not see what you are looking for, contact us and we will almost certainly be able to source it for you.